Still winless and lacking with high-caliber attack, Burnley’s return to the English top-flight league seem to be a very daunting task. They have yet to pull off a substantial success in the tournament as they have already been held four times and beaten three times. These inevitably buried them in the relegation zone and without any noticeable improvement in the squad, they might remain in that zone for a much longer time than expected. West Ham United, meanwhile, are pampered in a comfortable position in the top half. Their form is far from being perfect, but compared to Burnley, they have a much better shot at ending the season with high hopes of spending another term in EPL. The side’s most recent battle was very impressive: they scored two goals—although one was an own goal—and conceded zero to QPR. 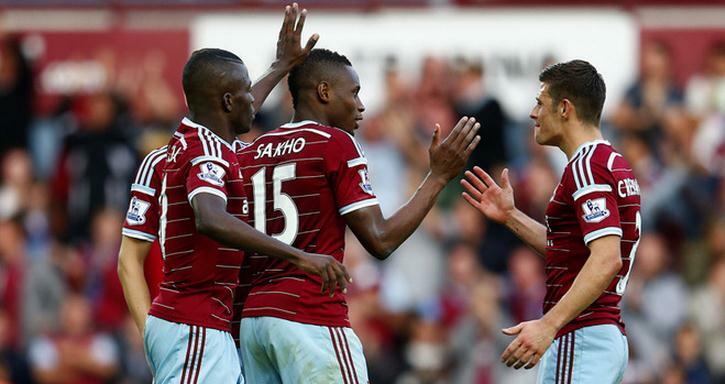 Diafra Sakho and James Tomkins figured prominently in the brawl. Sports betting tip: Burnley will remain in the relegation zone as they will again lose all the points to their opponents. West Ham could pull off another clean sheet from this fixture. Southampton are currently one of EPL’s most astonishing sides. In the previous season, they were almost always considered the minnows but this time around, they are the ones being feared. At number three, Southampton have made marvelous improvement in their performance and although their most recent fixture did not give them any point to add to their score sheet, they remain a favorite for football audiences. Sunderland, meanwhile, have finally pulled off a victory after spending their previous five matches (across different competitions) without a single win. The team defeated Stoke City in a dramatic 3-1 encounter. The genius Connor Wickham fired the opener as well as provided one of the crucial assists. Steven Fletcher, however, proved to be the ‘man of the match’ as he netted a brace and delivered the pass for his team’s first goal. Online betting tip: Southampton and Sunderland will battle out a medium-scoring draw.